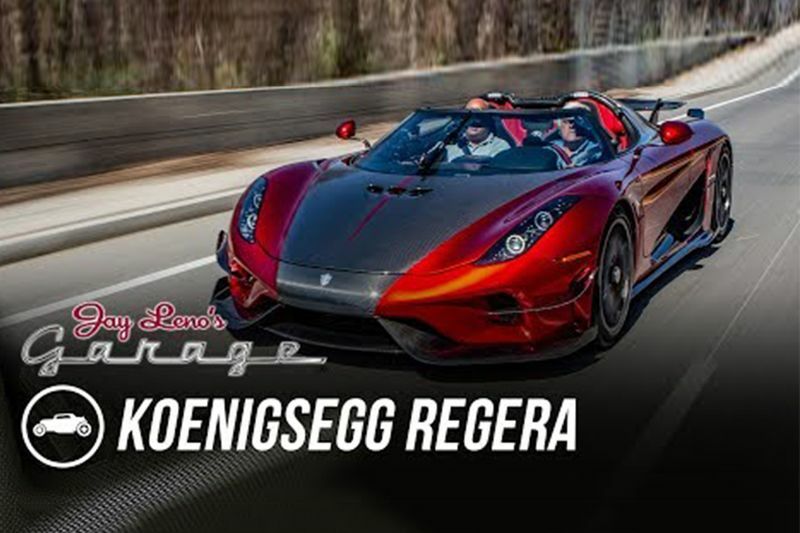 Legendary comedian and late night talk show host, Jay Leno, is a well-known gearhead with one of the most diverse and extensive personal car collections in the world, in this episode we see Jay Leno interview Christian von Koenigsegg on the new 2018 Koenigsegg Regera. As one of the worlds foremost automotive enthusiasts and experts, Jay Leno often has the opportunity to test drive cars that many of us will never even see in person, and he makes the most of those opportunities by learning as much as he can about these cars from the very people who build and design them, which is how he’s developed his expertise over the years. In the video below, Leno gets intimate with a couple of cars that certainly fall under the hypercar designation, the Koenigsegg Agera R and the Ragera, also from Koenigsegg. The Agera R, as many of you will remember, is the current world record holder for top-end speed, as well as holding the record for the fastest 0-400km/h-0 time, and the record for stopping from 400 km/h thanks to is massive brakes, which were designed and built by Koenigsegg themselves. As you will see in this segment, as Jay speaks with Christian von Koenigsegg, the owner and lead engineer at Koenigsegg, he’s quite proud of the records his cars have broken, though he’s hardly boastful or braggy. He simply points out a few of the records his cars have set with a proud smile while he and Leno discuss how the company has grown and gained the confidence and ability to design their own engines and components, such as those amazing brakes. In the Regera, the company has designed a brand new style of transmission that is akin to a direct drive like you’d find in a top fuel dragster or funny car, only instead of a six disk clutch being used to bring in the power, you have a custom built torque converter that serves as the coupler between the engine and the rear drive. Since there’s no way to reverse the direction of the engine, Koenigsegg has added electric motors to the rear wheels to drive the car backwards when you need to back up. You can tell in the ride-along, it makes for a seamless, smooth drive that’s certainly unique to the Regera. Video: Squad Goals - Koenigsegg Agera R, Lamborghini Aventador And Porsche Panamera Cruising In Monaco! Video: A Bugatti Veyron Is Cool, But We Bet It Can't Do These Tricks The Agera R Can Do!